Let’s get one thing straight, if you’re looking for the best truck of the 2016 lineup then the 2016 Ford F150 is the truck for you. 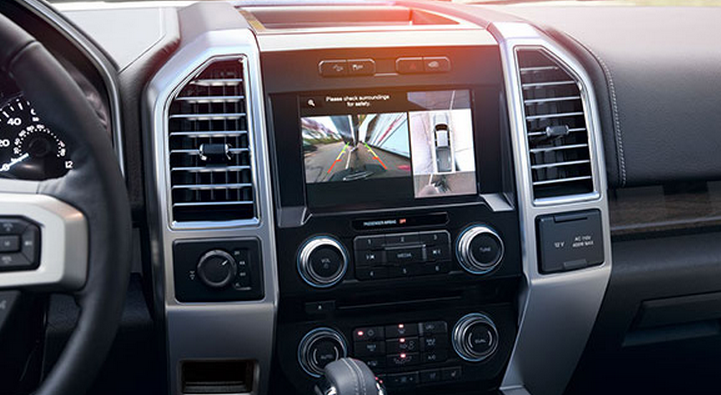 Building off of the game changing engineering from the 2015 model, Ford has perfected the F150. Ford’s previous trucks are downright impressive, but the changes made to the 2016 Ford F150 make this their best truck yet. The 2016 Ford F 150 is built tough. How tough exactly? 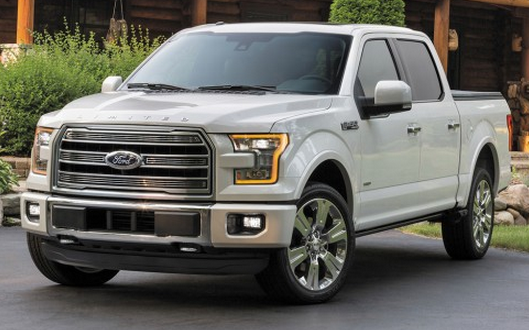 Thanks to the all-new aluminum body, the 2016 model is up to 700lbs lighter than some of the previous F150s. Ford has tested this aluminum body for over 10 million miles, and that isn’t a typo. That just goes to show you how dedicated Ford is to creating the perfect truck. This new body gives you way better gas mileage, improves acceleration, excellent handling and braking, and class leading towing capabilities. You can’t deny that this is one heck of a truck. Picking out which engine works best for you is no easy task, since Ford has created several stand out engines. 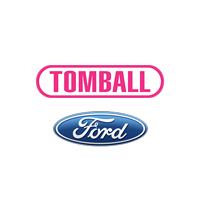 These options range from fuel efficient and optimally tuned EcoBoost engines – to the king of towing with the V8 5.0L. It might be the baseline engine, but there is nothing basic about the 2.7L EcoBoost V6 with Auto Start-Stop Technology. This carefully engineered eco-friendly engine boasts a maximum payload of 2,210lbs and a towing capacity of 8,500lbs. The EPA estimated gas mileage hasn’t been released yet, but you can expect this engine to have impressive fuel efficiency. If you want a little more power, don’t worry cause Ford has got you covered with the 3.5L Ecoboost Ti-VCT V6 with twin turbochargers. That’s right, a V6 with twin turbochargers in a full sized truck. Towing wise this engine holds its own with a best in class towing capability of 12,200lbs. If the strongest engine is what you are after, the there’s only one engine for you in the 2016 Ford F150: the powerhouse 5.0L Ti-VCT V8. This beast has the honor of having the best in class payload with a whopping 3,270lbs. Ford has engineered some impressive technologies to give the 2016 Ford F 150 the best possible handling, ride quality, and braking. Dual wishbone suspension in the front gives this truck a wider stance that greatly increases stability and control. Rear shocks have been placed outward of the frame rails, meaning you get a smoother ride and minimize rear axel hop. While the King Ranch has been the ultimate model in the Ford F150 lineup, Ford has outdone themselves and created the 2016 Ford F 150 Limited. One look at this truck and you can see details that make it the ultimate luxury truck. Bright chrome highlights exterior finishes, while the model exclusive grill looks nothing short of incredible. Inside you’ll find a number of model exclusive features, as well as a standard Technology package that has been taken to the next level. Dual moon roofs bring in natural light that highlight the high quality interior materials. There are two charging outlets, and none of those circular car chargers, no they are the same that you’ll find in your walls at home. That means you won’t ever have to buy another car charger for your phone, and you’ll be able to charge any of your gadgets on the go. Buying a new car can be a stressful and exciting experience. But thankfully the 2016 Ford F150 makes it easy with its new aluminum body, improved handling and ride quality, and several efficient and powerful engines to choose from. Feel free to check out our inventory online, or you can click here to contact us with any questions you have.